Mariners in the olden days may have had to rely only on charts and celestial navigation, and more recently on charts and GPS, but modern boaters have what they did not: smartphones. Though they can sometimes be a distraction, smartphones offer a huge variety of apps, many of which have the potential to be quite helpful for planning and executing a voyage. Some of the most useful are listed below, divided by category. Unless otherwise noted, they are available through either iTunes (for iPhones and Apple devices) or Google Play store (for Android phones and devices). 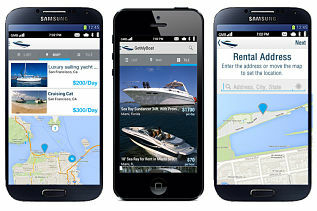 GetMyBoat: Yes, we have our own app! If you want to get out on the water but do not own a boat yourself, our app gives you the ability to find and rent kayaks, catamarans, 150-foot yachts, and anything in between. 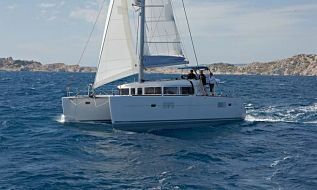 We have boat listings all over the globe, so it is handy anywhere you go. Available for Apple and Android devices. Free. Boat Ramps: This app, released by takemefishing.com, gives you a guide to over 35,000 boat ramps throughout the United States. Mostly useful for smaller boats, this app is great if you want to plan an excursion outside of your home waters. Once you choose your destination, the app will give you directions to get there. Available for Apple and Android devices. Free. Navionics: Navionics has been making electronic charts for GPS devices since the start of the technology’s existence. Their app is stocked with highly interactive charts, along with route planning tools that can be easily shared on social media. When purchasing the app, make sure you buy the correct one — Navionics releases the app by region. Available for Apple and Android devices. Price depends on location. Boat Essentials - USCG Safety Gear: Worried that you are forgetting some important Coast Guard safety requirement? This app gives you a checklist of every safety item that you must have on board, so that you know you are ready to go out on the water. Available for Apple devices only. Free. Nautical Flags and FlagBag: Both of these apps cover the uses and meanings of nautical signal flags. If you want to learn semaphore (a alphabet signaling system that is based on flags and hand gestures), either of these apps will give you the knowledge you need to immerse yourself in the flag language of the sea. Nautical Flags available for Apple devices, FlagBag available for Android devices. Free. Animated Knots by Grog: There are plenty of references for how to tie knots, but sometimes the written or illustrated diagrams can be difficult to follow. Animated Knots by Grog makes it much easier by animating the tying of each knot so that you can clearly see where each loop and weave goes. Its large dictionary makes it useful for beginning and experienced boaters alike. Available for Apple and Android devices. $4.99. NOAA Buoy and Tide Data: This handy app allows you to see the data from the NOAA buoys scattered all around the waterways of the US. It also provides tidal predictions — basic and very useful information. Available for Apple and Android devices. Free. NOAA Weather Free: An app that has weather forecasting and radar, based on the best possible information, this is a must-have app for predicting and anticipating weather patterns. Available for Apple and Android devices. Free. Clinometer: Want to see exactly how far you are heeling over? This app by Peter Breitling provides exact measurements of a sailboat’s tilt. In addition, it has a bubble level and slope finder, so if you need to do any construction projects on your boat (or elsewhere! ), it has many uses. Available for Apple and Android devices. $1.99. BoatUS: BoatUS is a network of on-water towers who will come and fetch you should you run into trouble on the water. With their app, you can check your latitude and longitude even when you are out of cell phone range, and call for a tow should you run into distress. Available for Apple and Android devices. Free. Flashlight: There are several flashlight apps for both the iPhone and Android, so you can have your pick. Make sure to install one that has both a red and a white light. You will need the white light for strong illumination, and the red will save your night vision so you do not blind yourself looking for something after dark. Available for Apple and Android devices. Free. While these are very handy and useful apps, it is important to note that phones are prone to damage or loss at sea. A protective cover for your smartphone or a simple plastic bag is a good investment if you want to keep your phone safe. In addition, keep in mind that though these apps can be very helpful, your battery can die. Use these apps whenever they will help you out, but do not make the mistake of relying on them for everything. Keep all your boating senses sharp, and enjoy what technology has to offer.